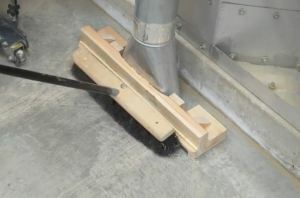 The floor sweep attached to my dust collection system is very handy, however it is narrower than a floor broom. 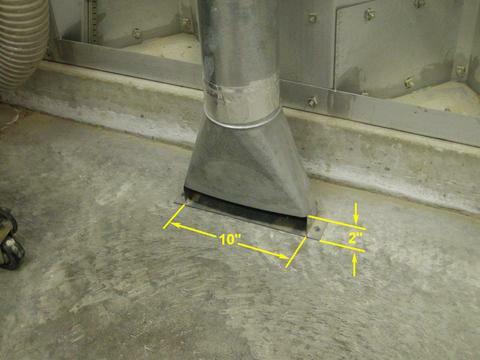 The metal floor sweep has an opening 10 inches wide by 2 inches high. 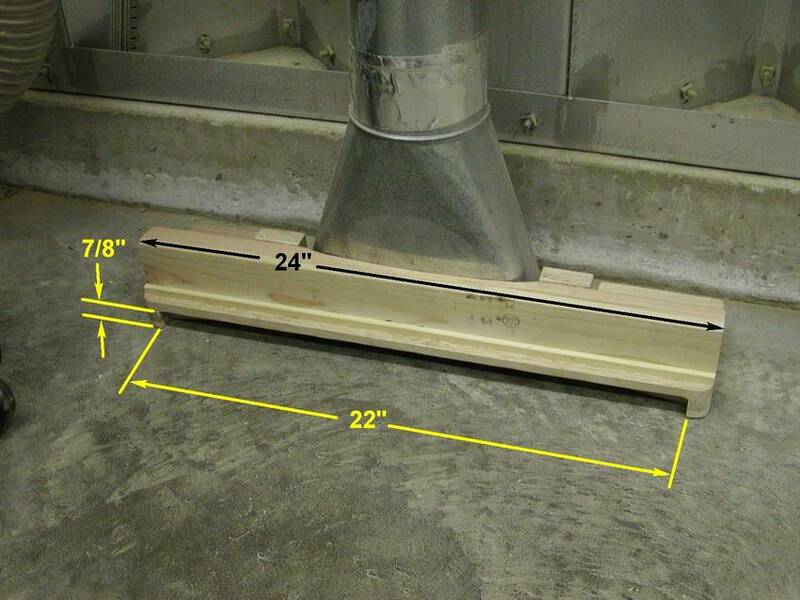 The 2 inch height is much more than is normally required for a floor sweep. 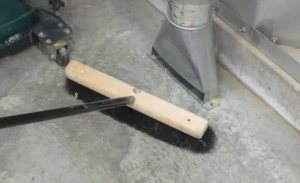 I wanted to improve the function by making an adaptor a little wider than a floor broom. My floor broom is 20 inches wide, so I made the adaptor opening 22 inches wide by 7/8 inch high. 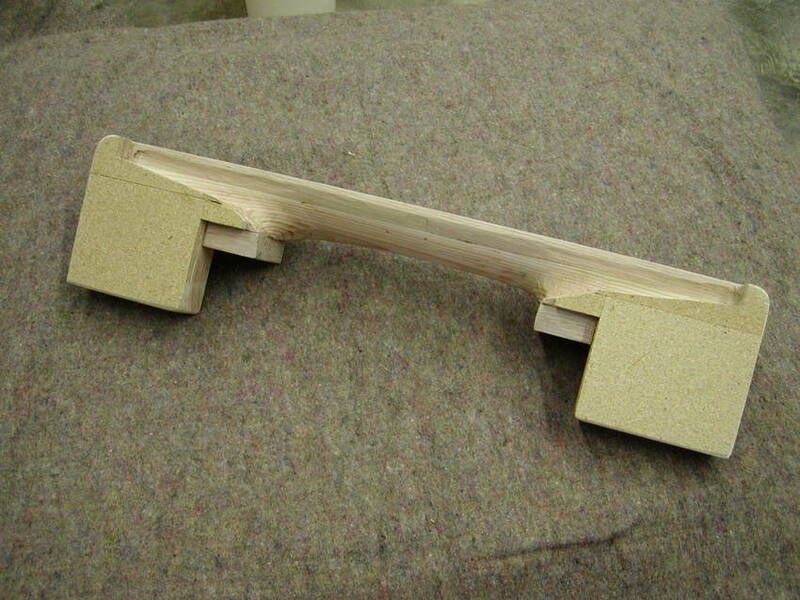 The inside was hollowed out and smoothed with a grinder and sander to shape the airflow through the nozzle area. The objective here is to spread the airflow over a wider area without restricting the volume available from the original 10 x 2 opening. The adaptor sits on the floor and is held in place by the suction of the dust collector. If it should become plugged, it can be removed, cleared and placed back in position in a few seconds. 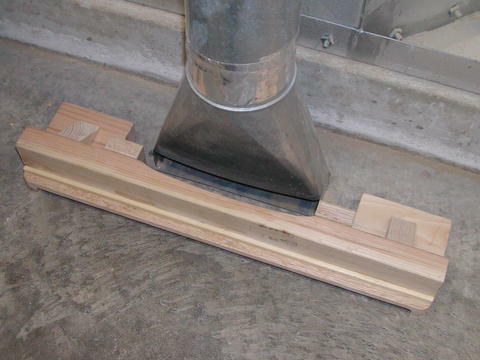 For a new installation, an entire floor sweep made of wood would be an easy project.